Inspired by Barbara Brackman’s post about playing with “Snakes”. 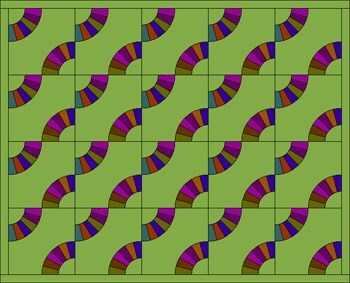 To start this lesson, download and open the Playing with Snakes project file. If the Sketchbook opens, click Close to put the Sketchbook away. Click the Layout tab (at the bottom). Click the Set Block tool. You’ll see 9 blocks from Barbara Brackman’s BlockBase software. We’ve added them to the Sketchbook so you could play with designs. 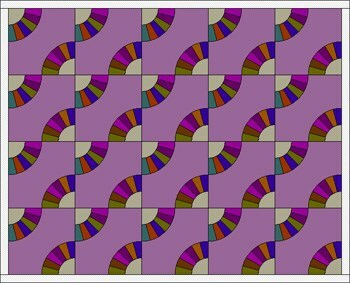 To mock up the quilt above, click the 4th block in the palette: #3352. 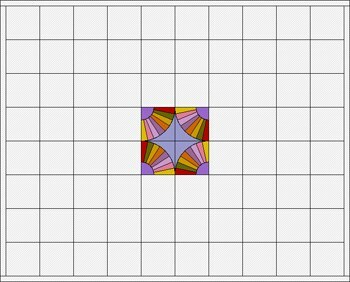 Hold down your keyboard CTRL key as you click on the quilt layout. 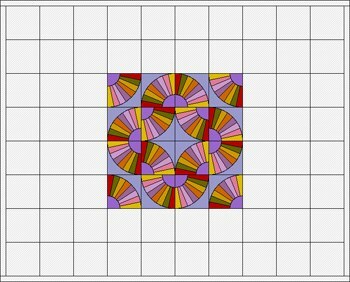 This will set the block into every square in your quilt. Click the Colors tab to go to the solid colors. 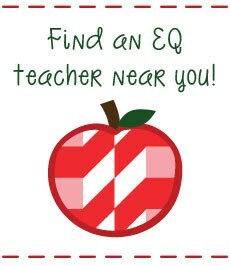 Find and click on green similar to the green in the QUILT 1 photo above. CTRL+click on one of the tan semi circles inside the fans, to color them all green. You’ll need to do this twice. Now CTRL+click on the border. 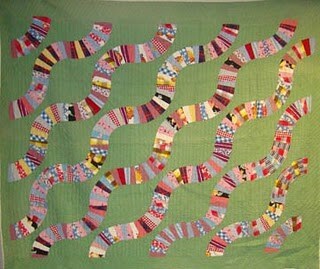 Your quilt should now be all green except for the fan blades. Click the Fabrics tab on the Fabrics and Colors palette, to see fabrics. If you’d like, go to LIBRARIES > Fabric Library and browse through the fabrics to add any you like to your Sketchbook. 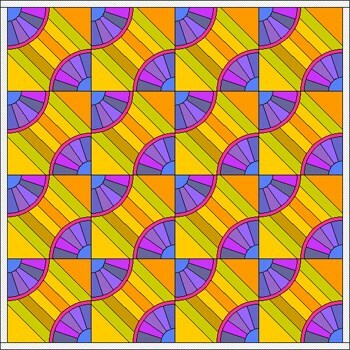 Any newly added fabrics will now appear in the Fabrics and Colors palette at the very end. Use the scrollbar on the palette to find them. Now have fun coloring the fan blades. If you have colored a blade, and want to find that fabric again, use the Eyedropper tool. Done coloring? 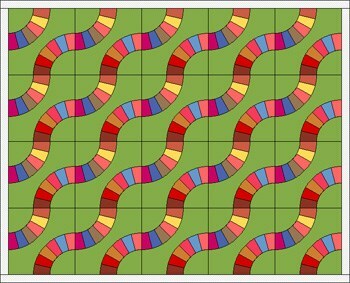 Click Add to Sketchbook to save your quilt.If you would like the snakes to wind into one another like the antique quilt, try the bonus block we’ve included. It’s the first block in the project. 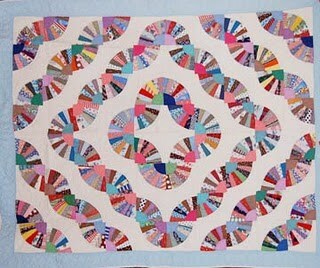 Quilt 2 is a fan quilt arranged to form concentric rings. 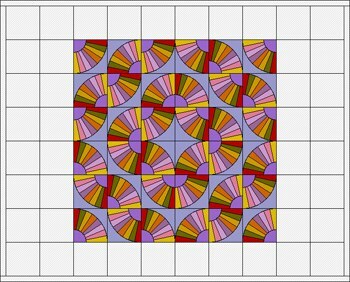 Whenever you design a quilt like this, you want an EVEN number of blocks. Quilt 2 has 10 blocks across and 8 down. Let’s make it! 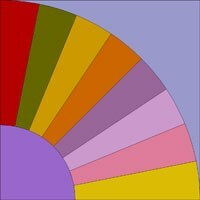 Click the last block in the palette: #3306. 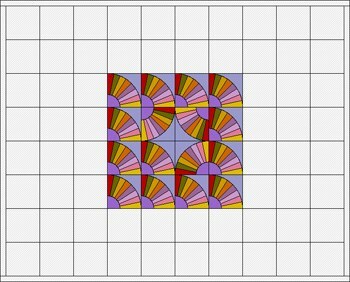 Rather than filling the whole quilt with blocks, then rotating, let’s work from the center out, which will be a little easier. Set 20 blocks around this center group. 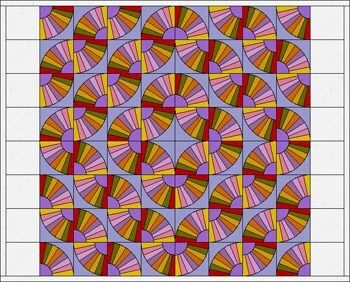 Rotate your outer ring of blocks to form this design. 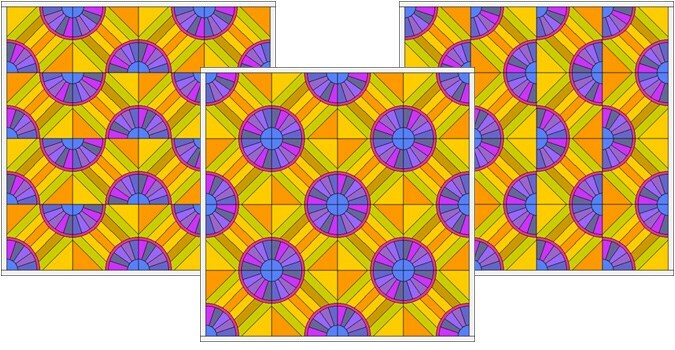 Set 28 blocks around your center group. 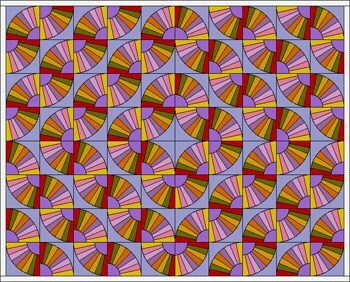 Rotate each block in your outer ring of blocks to form this design. Set the block into the remaining 16 block spaces at each side. Yay! Are your eyes crossing by now? Let’s color. Click the Paintbrush tool. 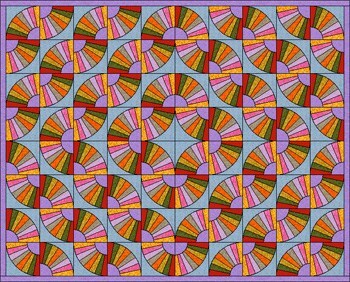 Color as you’d like, then click Add to Sketchbook to save your newly colored quilt. TIP: By holding down your Keyboard CTRL key as you color, you can recolor the same patch on each block with each click. Click the Set Block tool and choose any block in the palette. 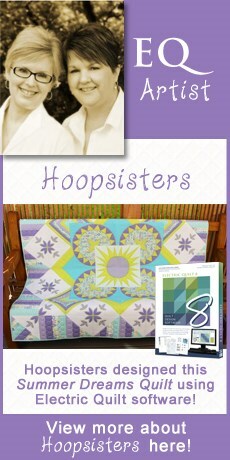 CTRL+click on the quilt layout. This sets the block into every square in your quilt. CTRL+click on the quilt layout. Each click creates a different design, up to 16 clicks. Click Add to Sketchbook to add any design to your project file.